I scored these finds at our local used book store. I really can't wait to get started on them! Lots of awesome books that I can't wait to start on! You totally scored at the used bookstore! I've read some great reviews for Babe in Boyland. I love the cover. Babe in Boyland sounds really good. I'll definitely have to add that to my wish list. I read a few chapters of Haunting Violet recently, and really liked it. I'll definitely have to finish it when I'm not so busy with other books. A want to read The Girl of Fire and Thorns so badly! Haunting Violet looks fantastic. Babe in Boyland was a really cute read. I hope you enjoy your books! I'm reading Haunting Violet now and am really enjoying it! I just got approved for Tris and Izzie so it'll be on next weeks IMM, but I LOVE that cover! I still have my fingers crossed for Vanish but want a paper copy of it so I didn't request on netgalley. 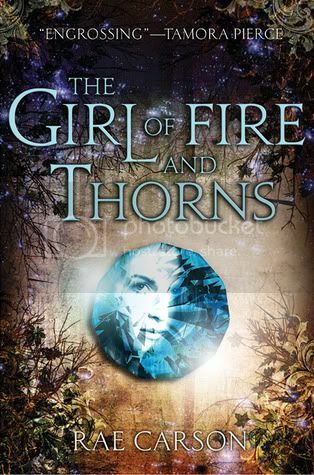 The Girl of Fire and Thorns sounds, and looks REALLY good too. Too many books and not enough time to read them all! Enjoy! I got approved for Vanished and The Girl of Fire and Thorns, as well. I'm looking forward to reading Haunting Violet. I'll be looking forward to your reviews! 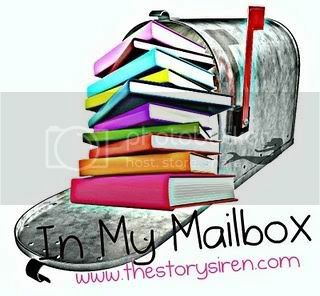 Here's my small-ish mailbox for the week! i really liked haunting violet. enjoy! I am very interested in Babes in Boyland and Haunting Violet! I love the look of all your books- You're so lucky to have a good second-hand bookshop near you. I got Haunting Violet this week too- can't wait to read it. Also really want to read Vanish after the cliff-hanger ending in Firelight, but I love that cover so much I'm going to wait until it's released and buy a finished copy. I LOVED Darkness Becomes Her!! I hope you love it too!! Babe in Boyland is sooo cute! And I loved Darkness Becomes Her! Ooh A Touch Mortal looks really good!! And I love Haunting Violet, I hope you do too!! You did well to score such great books from a second hand shop. They're all pretty recent ones too! 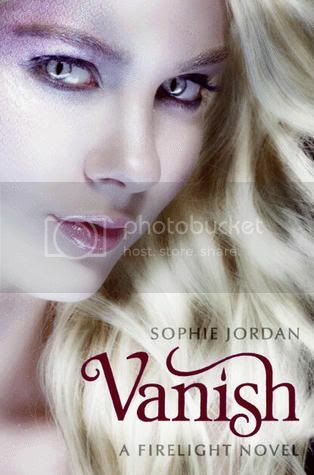 I just love the cover on Vanish. It's so pretty! I have Firelight still sitting in my TBR pile. Great mailbox! Can't wait to see your review of Haunting Violet, I've heard really good things. 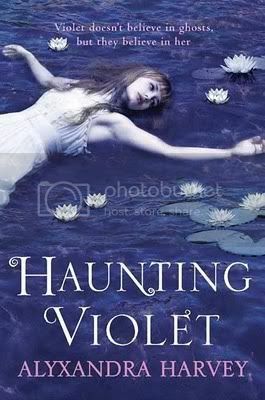 I want to read Haunting Violet. It sounds really good. I also want to read Vanish since I liked Firelight so much. They all sound like great books. I'm really looking forward to reading A Touch Mortal and Darkness Becomes Her one day. Enjoy!!! Cute dog! I miss having an animal. The cover of Haunting Violet looks creepy, but I absolutely adore the covers of Vanish and Babe in Boyland! I just love the cover of Babe in Boyland. I just can't help but giggle anytime I see it. Wow, you have a nice stack of books this week in your mailbox. You are so lucky to have gotten Vanish. I really enjoyed reading Firelight. I love the Babe in Boyland cover. It's really cute. Looks like you had a good book week. I hope you enjoy them all. Ooh great books this week! 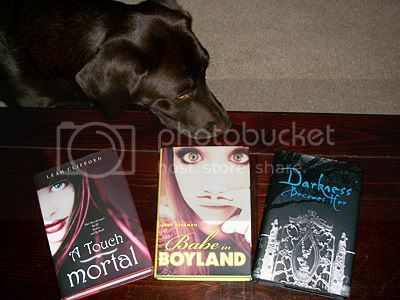 I liked babe in Boyland so hope you enjoy it, and I've been wanting to read A Touch Mortal for ages! Happy reading :). Great stuff this week! I have Darkness Becomes Her but haven't gotten to it yet. Enjoy it all! I really want to read Hauting Violet and The Girl of Fire and Thorns! Good thing Hautning Violet is already out. Great set! I really want to read Haunting Violet. I've heard great things. I also want to read Vanish - have to read Firelight though. Great Mailbox! I really have to read A Touch Mortal. It sounds so good. I also got Vanish too. I've already read it, it was simply too good! I just requested The Girl of Fire and Thorns, It looks so good! Hope you enjoy your new books! I SO need Darkness Becomes Her!!! Awesome IMM! I need to get my hands on A Touch Mortal. Leah Clifford seems so nice. And I’m waiting for my request to be approved on netgalley for Vanish. Looks like some good books! Happy reading! I have a copy of The Girl of Fire and Thorns (so excited for it!) but I'm reallly curious about Haunting Violet as I don't think I've read one negative review for it yet. Haunting Violet really looks like something I would enjoy as does Babe in Boyland. Ooooh! What great books. I'm so jealous. I loved Darkness Becomes Her.